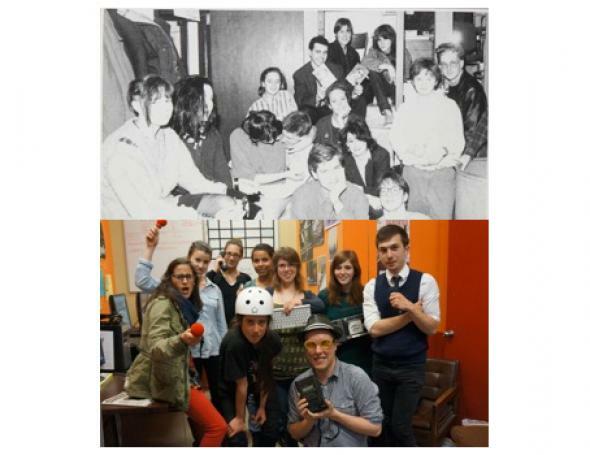 McGill News Alumni Magazine recently published a great article about CKUT turning 25 years old, please do check it out here! As you’ve all heard by now, CKUT is 25 years old this year (though CKUT in its pre-FM state as Radio McGill/CFRM existed far earlier than 1987) and we’re reaching out to A-L-L alumni! So far we’ve received many photos, testimonials, and contacts from past programmers (thanks!) and we want to keep these gems flowing in. How can you share your stories with us? Fill out our alumni survey here. Help us complete our History of Programming here. If you want to record your story or send us files, get in touch - alumni@ckut.ca!